People we are missing the forest through the trees. As I was scrolling down my Instagram feed seamlessly passing by pictures of holiday treats, sports highlights, meme accounts, and advertisements I saw a sponsored post that caught my eye. I don’t recall now who sponsored the post but the message of it was to advocate for the use of reusable bags when going grocery shopping; a good message to sponsor. The image depicted an individual putting a bunch of lettuce into the reusable bag with the texts saying something along the line of ‘save the planet, use a reusable bag’. I state now that I am pro reusable bags and use them frequently, I think we should help our planet anywhere we can when we can. Which leads me into my point of the piece. The irony of the post was the individual was putting in the bag an item that is currently doing more harm to the planet than the plastic bags and has the potential to hurt those who inhabit it; the lettuce. Yes, the lettuce. A product found in more groceries stores, more restaurants, and more homes than most other products. An ingredient so common and so highly mass produced that we seldom think of its potential to harm us. We certainly don’t think of what the thousands and thousands of acres planted full of the stuff are doing to our soils each and every day. I will explain to you what mass lettuce monoculture is doing in a second but first, we have to do some crash course teaching on mass agriculture. Anything grown from the soil reaps its limited energy and nutrients. These vital nutrients create the vegetables immune system and its resilience to fight off disease and bacteria. On a small scale, the farmer can properly manage their fields and give back to the soils what nutrients their crops have taken, leaving the next seasons crops a full nutrient bank to prosper from. This is fine and manageable on a small scale farm less than 100 acres or even a medium scale farm. Dan Barber in his book The Third Plate quotes Klaas Martens a reputable farmer in Penn Yan, NY, “If your farm becomes so large you can’t identify the different grasses and what they tell you about the health of the soil, then you’re not really farming, at least not at the right scale”. I think there is a lot of truth to that. The industrial farms (organic or not) which provides us our lettuce mixes are thousands of acres, needing multiple machines to harvest each mega field. There is no way to properly manage these fields without artificial input, usually in the form of a chemical spray. Now, I want you to imagine the field as the human body and the individual lettuces as cells that makeup it. With each and every spray the body becomes more compromised. To this Barber writes, “soils can just as easily be overwhelmed by too much fertilization.” Now compound that with a pest eradication cocktail and what you have is a modern-day mass monoculture. 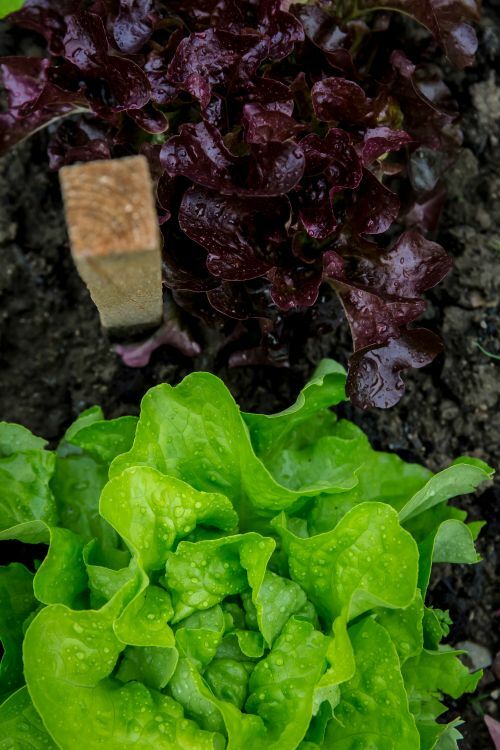 As a result, when one head of lettuce is infected in one part of the field since the state of the rest of the field is so brittle, it is easy for the bacteria to spread and spread it does quickly infect the entire body with disease. This is a result of mass monoculture. Now let's follow the supply chain. That sickly field is harvested and then the lettuces stay within a crate for a week in one location until it is distributed again and again until finally reaching your little spot on the earth perhaps some 4 weeks after harvesting. Then you eat it, and the next day you don’t feel too good and neither does your neighbor and neither does a guy from Milwaukee and the gal from Tuscaloosa. As a result, we have a bacterial outbreak, just like the one we had last week with the E-coli ridden Romaine. How do we handle it? The FDA traces the products back to the plot on the farm in which it was grown, and then traces all of the orders, and then issues a recall. As a result, we as a country throw out all the romaine, in an act of mass food waste. That doesn’t solve the roots of the problem at all. One might think no big deal, food is often wasted, but it’s not just the food. What was wasted was the nitrogen from the soil that can lead to erosion which can lead to dead zones. The chemicals get washed away into our rivers and streams, which flow downwards affecting other lands with its chemical cocktails. The gas and carbon emissions used to fuel the tractors, the planes, the ships, and the trucks were wasted getting the product around the country. In turn, not only are the ramifications felt by the consumer but also our environment that has to endure our constant abuse to cultivate the ludicrous amount of product we reap from it every day. This supply chain mismanagement and abuse of our planet is what we should be focused on. Our current way of producing food will have longer lasting and more catastrophic effects on our planet and future generations than plastic bags ever will. Do you see the irony in the sponsored post now? Also, the mass-produced stuff is garbage. Flat out, tasteless, nutrition-less garbage. Your local small farmer's products, however, that stuff is properly grown in good soils. That stuff will leave you satisfied and healthier in every way and E-coli-less. I leave you with this. Support your local small farmers. If you care about helping your community, the planet, and better-tasting food then buying local is the only way to go.